Mantaleda > Maestro Small Walk In Bath With Door Entry (900x650). Maestro small walk in bath with door entry. Space saving inward opening door. 1 x End bath panels included. 2 x Extended chrome bath wastes included (plug and chain). 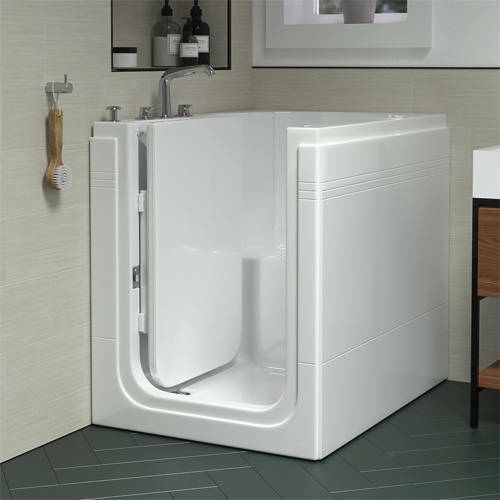 Bath size 900L x 650W x 860D mm.